Eventually, this is all going to fade together into one giant blob of colors and indistinguishable characters from a game that once was. Until then, we are going to marvel at this Fallout-inspired beauty. It is a classic rendition of an equally classic series. 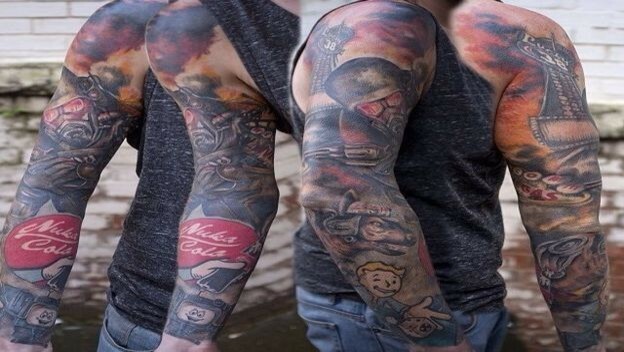 This is one of the best and most comprehensive Fallout tattoos we’ve ever seen.